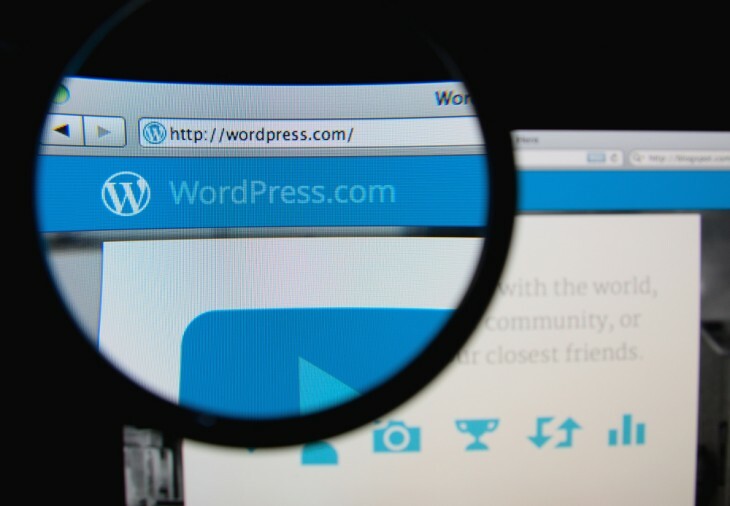 If you run a blog directly through WordPress.com, rather than a self-hosted site using the free software from WordPress.org, you’re going to encounter some handy new features when you next create a new post. Prefer to write in Microsoft Word? Now, when you paste anything across from the insanely popular word processor, none of the code will come along with it. That means you won’t have to worry about any unwanted formatting, such as peculiar line breaks, fonts and font sizes. In addition, the Visual Editor now comes with a ‘Paste as Text’ mode so that regardless of which word processor you’re using, WordPress can be configured to remove all formatting from pasted text automatically. Rather than paste multiple photos one after the other, galleries are fast becoming the standard for blog posts on the Web. The trouble with WordPress is that, until now, the Visual Editor has only shown them with a placeholder, forcing you to check with a post preview. It’s a major headache, although today’s update hopes to fix that with full gallery previews, which show small thumbnails and the order of the contained photos and images. Image editing has also been overhauled, with drag-and-drop uploads and manual resizing in the Visual Editor. The latter lets you adjust the size and shape of an image by dragging in from the corners, similar to external image-editing applications. 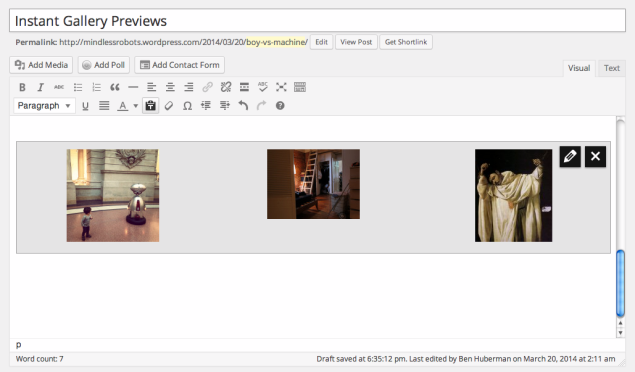 Furthermore, WordPress offers crop, scale, flip and rotate options in the Add Media section. Audio playlists round off today’s update, with a new look and the option to customize which track information should be visible in the post. It’s a small refinement, but one that should appeal to musicians and podcasters in particular. These changes, alongside other improvements, will be available to self-hosted WordPress sites next month.